Whenever gardeners ask what's eating their brassicas*, the inevitable answer is, white butterfly caterpillars. But it might actually be something else..... (*brassicas include cabbages, brussel sprouts, cauliflowers, broccoli, radishes, kale, turnips, mustard greens and so on). 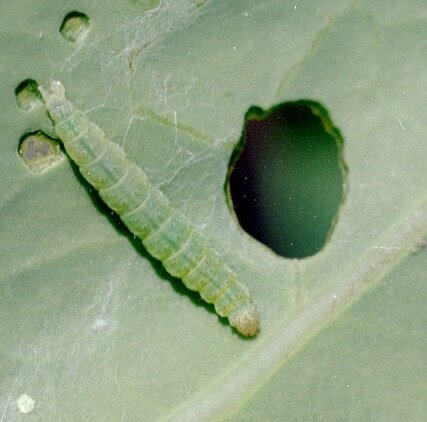 Most people are familiar with the sight of white butterflies flitting around their gardens in summer, and if they grow vegetables, will soon learn these dastardly critters like to lay their eggs only on brassicas, and their resulting larvae (green caterpillars) can munch a LOT of holes in the plants very quickly, devestating young plants, and hiding within the heads of more mature ones - is there anything more frustrating than trying to remove those green caterpillars from amongs the florets of your precious broccoli? However, there is another flying pest which also lays eggs only on brassicas, and whose green caterpillars also eat the plants...that is, the diamondback moth. Much smaller and more inconspicuous than the white butterfly, and of course, nocturnal, many gardeners seem to be unaware of this alternative source of pesky caterpillars. Why does it matter which one is giving you problems? Because measures taken against white butterflies won't necessarily keep out diamondback moths, and the moths also will be active at times when white butterflies may not. The diamondback moth is much tinier than the white butterfly, but the caterpillars are not dreadfully dissimilar. The most obvious evidence that your culprit is the diamondback is the presence of the loosely spun silk mesh cocoons on the undersides of the leaves, where the caterpillars pupate. I also have noticed that in my garden, white butterflies are conspicously absent so far this season - I've seen one fly through - but there are holes in my brassicas, and upon closer inspection, evidence of the diamondback's offspring. The diamondback moth is active in cooler conditions than the white butterfly, so may begin damaging your crops much earlier. 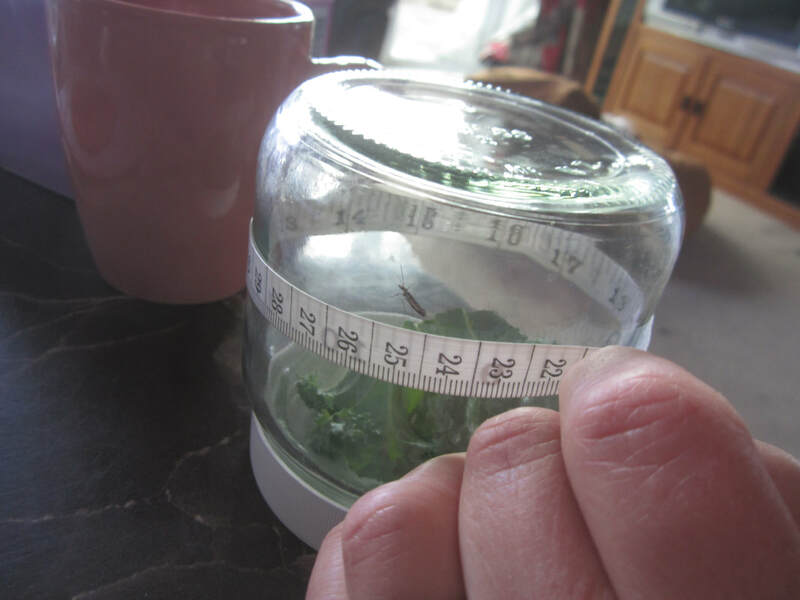 In fact, the diamondback moth does not have a pupal resting stage during winter - it's lifecycles continue all year long, but at a speed determined by climate conditions. So over the colder months, the life cyle may take 80 or so days, whereas in summer it will only take 30-35 days to complete a cycle from egg to mature moth. 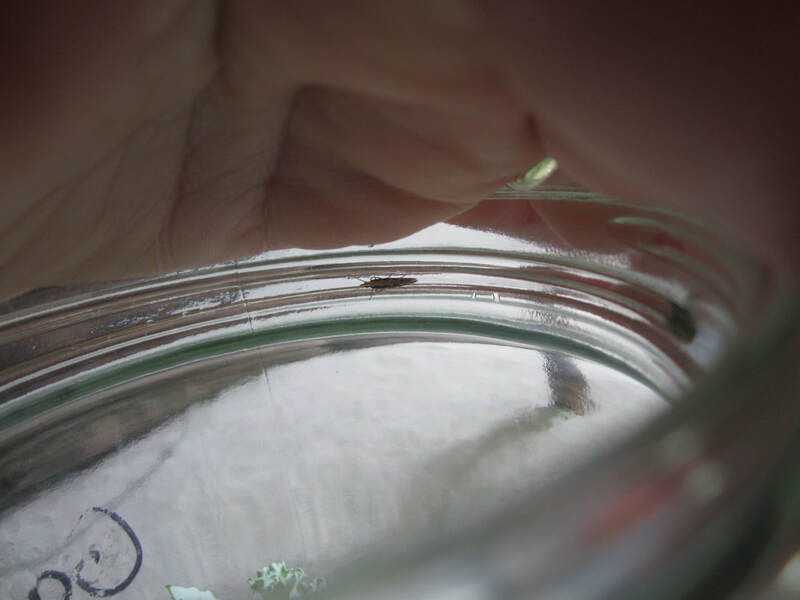 The time spent as larvae is greatly influenced by temperature, varying from 2-7 weeks. It will complete 6-7 life cycles in a year. 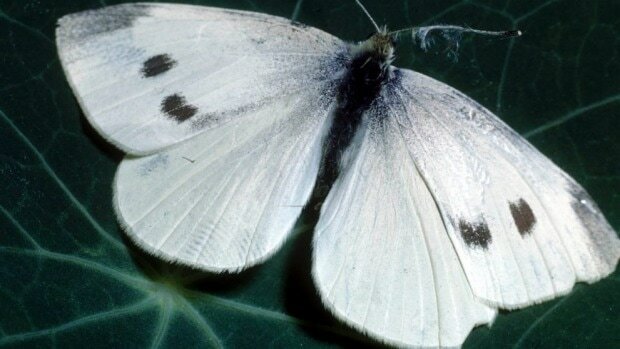 White butterflies on the other hand, are more effected by colder weather - they may complete as many as 5-6 lifecycles in the far north per year, but only about 3 in the lower North Island/upper South and 2 in the deep south. The cooler weather of autumn triggers their pupa to go into diapause, and they remain their chyralis stage for 3-5 months. A common organic method of keeping white butterflies off brassicas is to use nets. And it works well - so long as the mesh is small enough to exclude BOTH white butterflies and their much smaller counterpart, the diamondback. That's the main reason I've written this post really - so you can know your enemies and aren't fooled into excluding one but admitting the other. Exclusion by netting is THE best protection - just make sure the barrier is well anchored down on all sides, as well as being of fine enough material - I've known white butterflies to squeeze through the most unlikely gaps! Also, choose netting that will minimally block light, or your plants will become leggy and weaker. You need fine mesh to keep out the diamondbacks - see more on mesh below. B.t and pyrethrins are other organic control methods that can be effective. Parasitic and predatory wasps, praying mantises, lacewings, ladybugs, spider and birds are all natural predators of diamondback moth larvae, and in some cases, the adult moth. 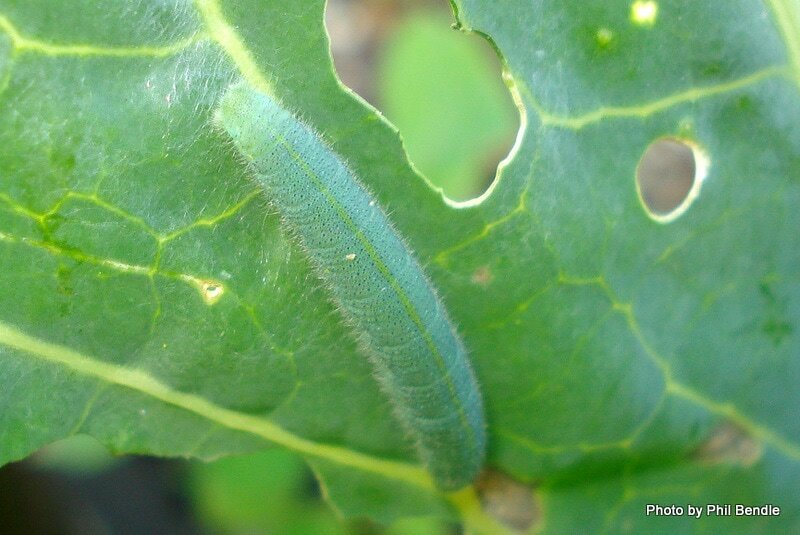 White butterfly caterpillars have a trick up their sleeve though - they accumulate mustard oils from their host brassica plants in their bodies, making them unpalatable to most predators, though some insectavorous birds will still eat them. Encourage natural predators by growing a variety of flowering plants in your garden, and by providing natural habitats. Nasturtiums are often planted as a trap crop - they lure white butterflies away from the brassicas. Nasturtiums are the only non-brassica plant on which white butterflies will lay their eggs. The plants can then be removed and composted (or given to chickens to pick through), eggs, caterpillars and all. Learn to recognise the pupal stage of both species - and if you spot any at any time of the year, destroy them. The diamondback pupa will be on the brassicas - but the white butterflies seem to form their crysalises elsewhere; at least, I've never seen them on my broccoli, no matter how much they've munched the leaves! In the 2016/2017 summer, I grew a bed full of broccoli in my garden, with no covers or protection. I planted them on the 5th of January, and was able to harvest yummy broccoli off those plants from late February right through until September, as they continued to grow abundant side shoots after the main heads were harvested. By September my June planted crops were producing more than we could eat, so I left those ones to flower and seed. The numbers of caterpillars did build up a bit in late Feb/early March to the point of exercising some digital control a couple of times (literally twice - that's all), but otherwise they were kept in check by the predatory beneficials to the point where they were of no major concern. Now, it was a colder, wetter summer than usual, so the white butterflies in particular were slower to get going, but the same principals of predation apply at any time of the year where the critters concerned are reproducing. So which beneficial keep my cabbage pests under control? 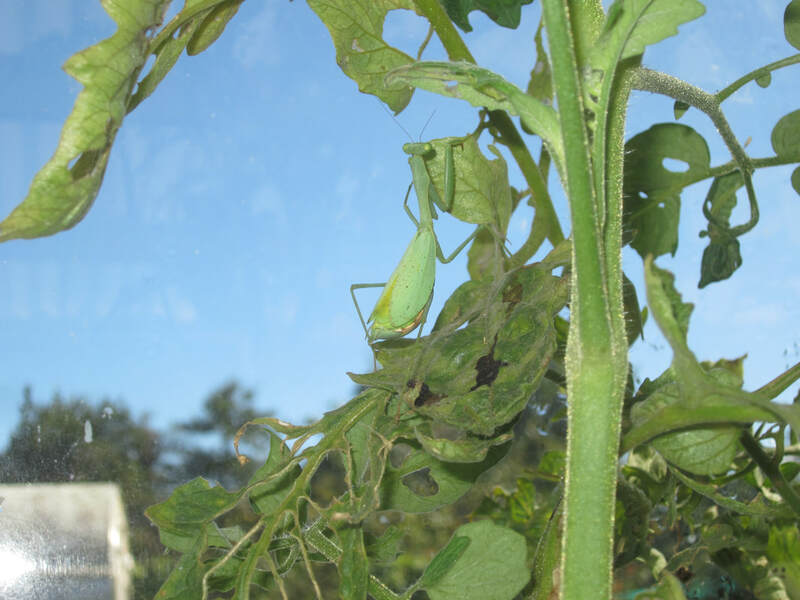 Primarily: praying mantises, predatory and parasitic wasps, harvestmen, spiders. Maybe birds, but I've not caught them in action to be sure. How does one encourage such critters in the garden? In the same way as all critters you want: provide food, water, shelter and breeding habitat. Plant a wide variety of flowers and flowering plants - the more the merrier. I major on edibles, but include others as well. My list is very long and I will post it elsewhere, but as a "sampler" I include phacelia, borage, rosemary, lavendar, buckwheat, calendula, marigolds, cosmos, zinnias, nasturtiums, lots of herbs like oregano and thyme, flowering fruit and vegetable plants etc. Observe where your beneficials tend to overwinter, and provide and leave plants for this purpose. Eg ladybugs seem to particularly like to overwinter on spent corn stalks and under large silverbeet leaves. Learn about breeding needs - eg drone flys, excellent pollinators, breed in water heavy in organic matter - so a bucket full of manure and water let sitting in a corner, with stalky material draped over the side to make an easy exit ramp for the rat-tailled maggots, encourages their breeding. On the other hand, I do draw the line at paper and German or commons wasps having nests in my garden - those I will kill. 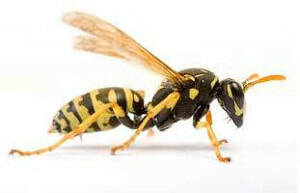 The odd wasp flying in and eating my bugs I'm good with, but too many where I'm working, wanting to protect their nests, is not ok for me - I'm allergic to the stings. Be willing to let some *pests* live in your garden - without those pests as food, the predators won't come. It takes a full and abundant ecosystem to properly support all things in balance. Never deliberately kill a species until you have identified it - learn to recognise the goodies and the baddies. And make informed choices. Eg, I know that the South African praying mantis is displacing NZ native mantises, and some would say to kill them. However, they are a major provider of pest control in my garden, and I've never seen a native here anyway. So I am happy to have them. ​This is a Harvestman, on my son's hand. Not a spider, it does not have a jointed body, and does not spin a web. It is a wonderful predator feeding on all kinds of pest bugs in the garden. Be careful not to kill any when harvesting or clearing parts of the garden - they tend to be found whereever there is lots of shelter and pests to eat. There are a number of different Harvestmen in NZ - this is the one I see most often. Harvestmen eat a variety of things, including: aphids, caterpillars, beetles, flies, mites, small slugs, snails, earthworms, spiders, other harvestmen, decaying plant and animal matter, bird droppings and fungi. 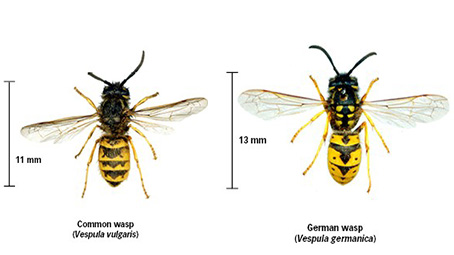 Paper wasps (left), common wasps (centre) and German wasps (right) are all common in NZ, and predate on caterpillars of all kinds, as well as a number of other foods. However, they have their downsides. I don't let them have nests in my garden, but am happy for them to eat the catepillars. There are a number of different parasitic wasps in NZ. This one is Ctenochares bicolorus - and specifically preys on Green Looper caterpillars. 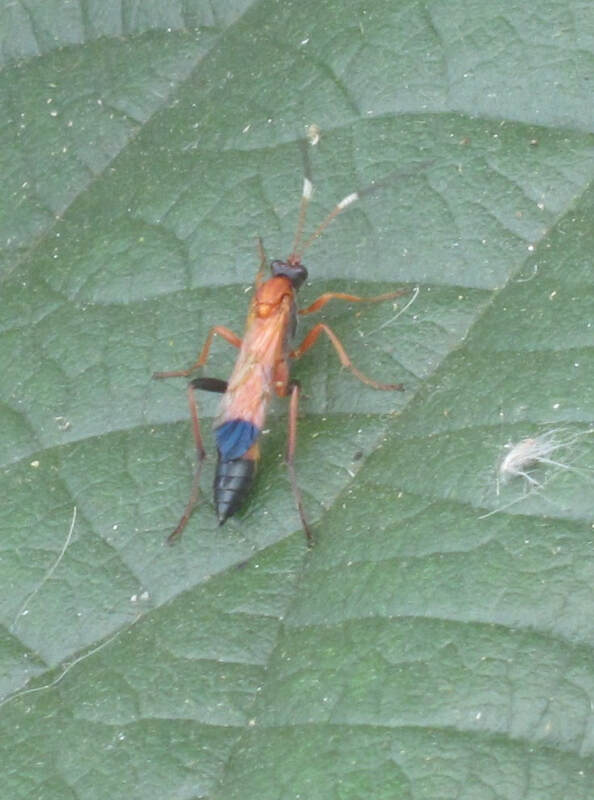 I include it as an example of a parasitic wasp in my garden helping control caterpillars - this pic taken in my greenhouse, where it appeared shortly after green loopers started chewing on tomatoes and pepino - the caterpillars all subsequently disappeared and I had no further problems. Female S.A preying mantis in my greenhouse - I have them throughout the garden too. They do an excellent job on the caterpillars, aphids and other pests. 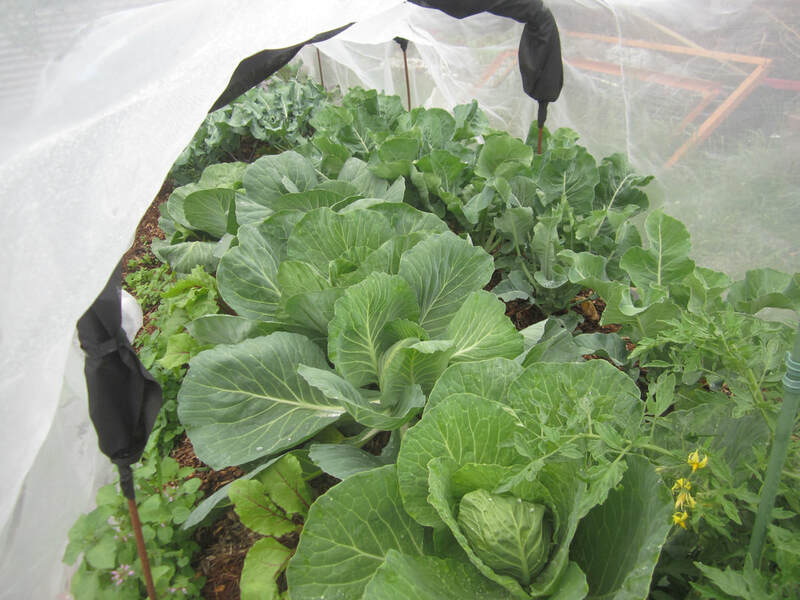 If you aren't willing to put up with ANY holes and caterpillars in your brassicas, then suitable mesh is the way to go. Old net curtains are a popular choice. A finer grade bird netting may keep out white butterflies, but it won't keep out diamondbacks who are very small. Any netting needs to be secured so that the leaves don't touch it - these determined pests will happily lay eggs through netting, even dropping their eggs a short way onto leaves. 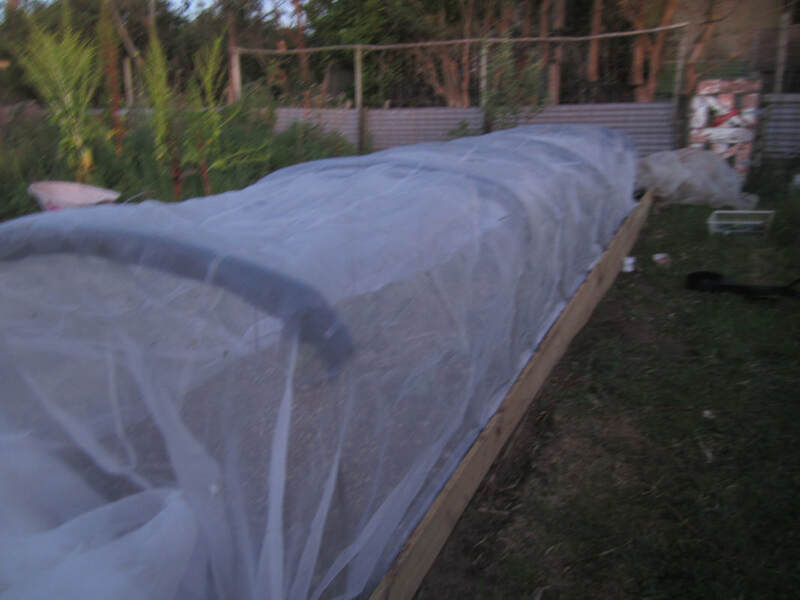 For completely keeping the pests away from your brassicas, the best choice is Wondermesh or a similar quarantine mesh. I bought a good amount of it from Lincoln's BHU, where they have done extensive trials using it to exclude psyllid from tomatoes and potatoes, and found it to also reduce incidence of blight and increase harvest size. With a 10 year life span, and allowing water and light to reach the plants, I find this fine mesh very useful in a number of applications in my garden. In the 2017/2018 summer, I am overhauling a large segment of my garden, and in the process am aware of the fact I am temporarily reducing plants and habitat that attracts beneficials. Therefore, this summer's brassica crop is under Wondermesh. Care needs to be taken to secure the mesh flat to the ground on all sides with no gaps, or the sneaky white butterflies will crawl in anyway (diamondbacks, despite their smaller size, seem to be less sneaky). Here's a couple of pics of my cabbages, cauli, broccoli, and kohl rabi under the mesh - interplanted with beetroot, and a couple of tomatoes at one end. These were planted 15th November - it's now 26th December. Another way to (theoretically) avoid pests in the brassicas, is the timing of your planting. 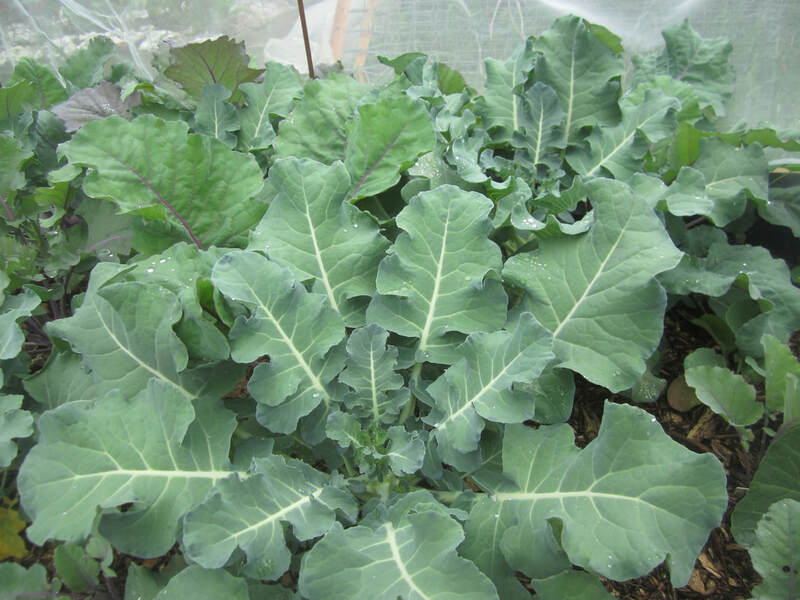 However, to reap the rewards of ready-to-eat brassicas for winter, one has to plant them out in about Feb/March in most areas, when the pests are at their peak. One can plant seedlings in Sept/Oct and eat the results before the numbers of white butterflies increase in about January, however diamondbacks are active over a longer season as they can cope with cooler conditions. So, yes, these pests are not active in winter, but that is when the plants also grow their slowest or enter near dormancy (brassicas are essentially dormant when temps are below 10C). So to get good results at that time of year, one really needs to grow them in a greenhouse. See post on effect of winter temps on brassicas HERE. Otherwise, some kind of protection from pests is needed - it's the gardener's choice what it will be. I prefer a combination of encouraging beneficials, timing some crops to avoid peak pest seasons, and using mesh covers as necessary.